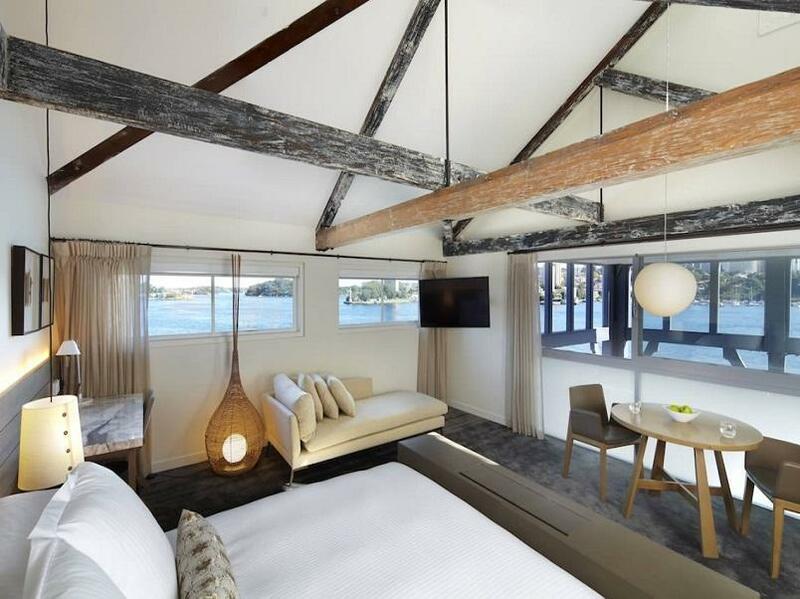 الخيار الأفضل للحصول على المتعة والاسترخاء, Pier One Sydney Harbour Autograph Collection يقع في منطقة ذا روكس في سيدني. يقع مركز المدينة المثير على بعد 0.8Km فقط. كما يمكن الوصول بسهولة إلى داوس بوينت, ‪Pylon Lookout at Sydney Harbour Bridge‬, ‪Hickson Road Reserve‬. ببساطة كل الخدمات وأساليب الضيافة التي تشتهر بها Marriott تجعلك تشعر وكأنك في بيتك. يمكن الاستمتاع بمجموعة من الخدمات على أعلى المستويات في الفندق كمثل خدمة الغرف على مدار الساعة, خدمة التنظيف يوميًا, خدمة سيارات الأجرة, مجهز لذوي الإحتياجات الخاصة, مكتب الاستقبال على مدار الساعة. استمتع بوسائل الراحة الراقية في الغرف أثناء إقامتك هنا. بعض الغرف تتضمن تلفزيون بشاشة مسطحة, حوض الاسترخاء, غرف لغير المدخنين, مكيف هواء, تدفئة لمساعدتك على استعادة طاقتك بعد يوم طويل. يقدم الفندق العديد من الفرص للاستجمام كمثل مركز للياقة البدنية, تدليك. إن Pier One Sydney Harbour Autograph Collection هو مكان مثالي للمسافرين الذين يتطلعون إلى الراحة والاستجمام في سيدني. يتوافر انتظار السيارات خارجي لقاء رسم إضافي في الليلة الواحدة. وعلى النزلاء ترك ملحوظة بذلك في قسم الطلبات الخاصة عند إجراء الحجز أو الاتصال مباشرة بالعقار. A two-night stay at this hotel was a surprise for my wife, and it didn't disappoint. We dined in the hotel restaurant on the first night, and the fare was absolutely delicious. Rooms were well appointed with every conceivable convenience. But, of course, the proximity to Sydney's most famous landmark is what makes this so special. Polite and helpful staff too. Budget doesn't allow a return visit, but I have the baseball cap to remember this extraordinary experience! I arrived very early (10.00 am) but staff gave me a room!!! Even my room (120) located just next to the lobby bar - I didn’t listen any noise in my room (perfect sound isolation in this renovated building of old pier) and could sleep perfectly. Wonderful bedding, bathrobe, big minibar with reasonable prices and fastest internet in Australia I think ))) (I downloaded movie for long flight entertainment just in 5-7 minutes!). Special thanks for reception staff who understood my problems with cash deposite in euro and decided this small problem immediately !!! Think it’s a best choice to stay in the heart of Sydney ! Hope to be back! From Russia with love! booked 7 rooms here for wedding purposes. woke up with an infected eye on the wedding day. spoke to the doctor and was told that it's commonly due to unclean pillowcases. rooms a nice. 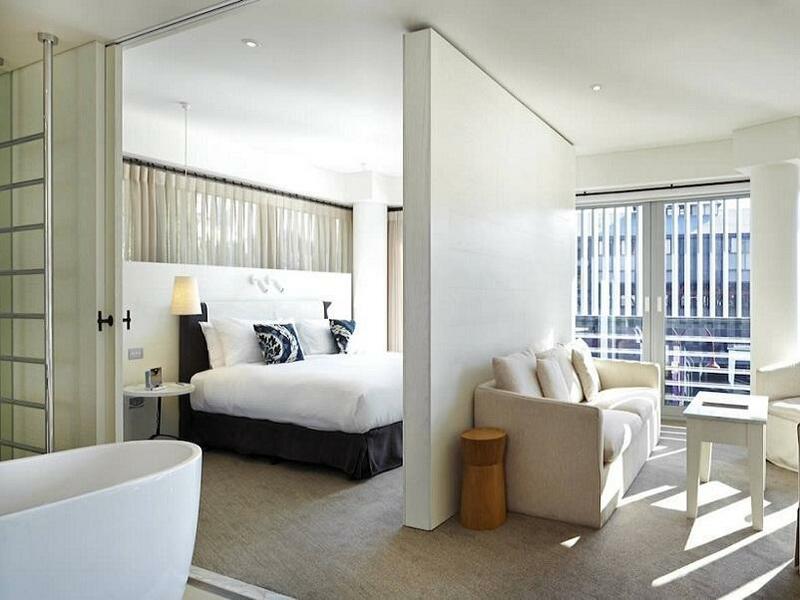 standard room is a bit small but deluxe rooms are spacious - worth spending a little extra for the bigger room. front office staff were good. room service/house keeping is terrible - took 3-4 hours to get a bed split (into two beds). took them 45 minutes to send someone to sort out power outing in room. Absolutely wonderful stay. We had a problem with our car and the staff went above and beyond to fix it. Stunning location. Did I mention how great the staff were? I will stay again for sure. Outstanding. My daughter and I stayed for 1 night. It was nice,but not worth a 5 star rating. The location is excellent, just a short walk along the foreshore to the bridge, opera house, the rocks and many restaurants. The staff are superb, very efficient and friendly. Overnight Secure parking is an issue, the rooms are exceptionally compact, and the price reflects the location. As a visitor a short stay is the go and if longer and on a budget then there are alternatives. Great value hotel however the breakfast is very disorganised. Had to ask three times and wait 35 minutes for the eggs I ordered. Also as soon as we walked in the door we had complimentary champagne put in front of us. It was placed on the check-in desk and the wind from the open door blew it over . The champagne would be much better received in the room after check-in, once the guest has all the formalities out of the way. Staff were extremely polite and attended to all requests promptly. Location is perfect being under the Sydney Harbour Bridge and close to The Rocks. The room should be rated 4 stars as they are quiet small. The bathroom was also small with the shower situated in the bath tub. Parking is $50 per day and was not explained to us, due to the room being expensive don't assume parking is included. Breakfast was amazing, with the full breakfast including the usual bacon, eggs and condiments, plus who doesn't love freshly prepared Nutella and banana crepes. Bar drinks are expensive with a case of Corona costing $216 being charged to the room. Bed was comfortable and quiet but only a select few rooms have balconys. We loved our stay at Pier One and will be back for sure. The atmosphere and location of the hotel is great and the staff are a big part of that. For a 5* hotel there are a few things that could use some maintenance within the actual room but these are only minor & not affecting our stay. The food and beverage was well priced and of good quality. Overall a great stay. It was disappointing being put in a "disabled" room without any warning! ..it felt like being in a nursing home. The room was quite warm and the a/c adjustments did no difference. All that aside, the location was great with lovely views and great sights close by. The staff were great and the hotel is very clean. It suit our purpose and will consider coming back to stay again. really enjoyed our stay, despite the mini bar fridge freezer defrosting and leaving a puddle of water under the fridge and in the cupboard. and when the plug was pulled after using the bath, the bath water and pipe residue bubbled up from the drain in the bathroom floor and flooded the bathroom. staff were apologetic and offered free breakfast which was nice. The staff, the location and the view! Love this hotel. The location at the base of the harbour bridge; the wandering through the rocks to circular quay; the old pier it is built on with the wooden beams in the corridors and room; looking out of our window at ferries, yachts, all manner of water vessels passing by. The breakfast by the harbour had great quality fare and a diverse range of all breakfast requirements and great coffee from the barista at the coffee machine. You can relax here by the harbour with the hustle of Sydney just around the corner. It was an unforgettable experience in this hotel! The renovated wharf decoration was so exquisite which was so exceptional that u should visit. Great and creative menus that every evening I should try without hesitation. However, front desk staff were not very proactive overall so even we arrived nobody would serve u and u should move your luggages from the ground to the stairs. Pillows were not comfortable! Shower was not strong! However, these are minor problems! The accessibility to the sightseeing spots was another advantage that u may look for! Great stay mixing business with pleasure. Lovely team especially the concierge (George & team) and at front desk. Our pup enjoyed his stay which you don't get much choices in town. Just a small nominal fee to sanitise the room and we all enjoyed our stay throughout! The room was spacious and clean, the staff were obliging, friendly and courteous and the views were great. Although we only stayed for one night, it was a very comfortable and satisfying experience. The room was lovely and clean and very spacious. The staff were so friendly and nothing was a bother to them. We did not strike one member of staff who was not helpful in some way. I would definitely recommend this venue.